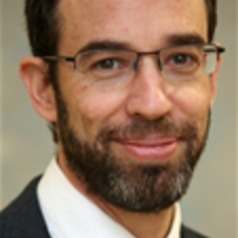 Noam Lubell is a Professor in the School of Law, University of Essex, and was appointed Head of the School in January 2014. In past years he was a Lecturer at the Irish Centre for Human Rights, National University of Ireland, Galway; the Co-Director of the International Law Amicus Curiae Clinic at the Concord Research Centre in Israel; and a Visiting Research Fellow at the Harry S. Truman Research Institute for the Advancement of Peace, at the Hebrew University, Jerusalem. He holds a Ph.D in Law and an LL.M, as well as a B.A. in Philosophy. He has taught courses on international human rights law and the laws of armed conflict in a number of academic institutions, including the University of Essex, the National University of Ireland, the University of Oxford, the Geneva Academy, and as a Visiting Professor at Case Western Reserve University in the US. Prof. Lubell holds the Swiss Chair of International Humanitarian Law, at the Geneva Academy of International Humanitarian Law and Human Rights, and is the Rapporteur of the International Law Association's Committee on the Use of Force. In addition to his academic work, during the last twenty years Prof. Lubell has worked for various organisations including human rights NGOs dealing with the Israeli/Palestinian conflict, as Outreach Coordinator, International Law Advisor, and Director of a Prisoners & Detainees Project. He has also provided consultancies and training in human rights law and the laws of armed conflict, for international bodies such as Amnesty International, government bodies, and the BBC. From 2007-2011 he was a member of the Executive Committee of Amnesty International (Ireland). He has been a member of numerous expert groups and consultations with governments, the ICRC and the UN on topics such as the law of occupation, self-defence, the scope of the battlefield, and autonomous weapon systems. He has taught, researched and published on a variety of topics in the fields of international human rights law and the law of armed conflict, and is the author of the book 'Extraterritorial Force Against Non-state Actors' (Oxford University Press).